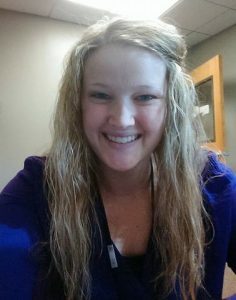 About the Author: McKenzie Jemmett M.S., CCC-SLP, COMTM is an individual who stutters and currently works as a Pediatric Speech Language Pathologist and Manager in Pocatello, Idaho. Her graduate thesis focused on covert aspects of stuttering and how holistic therapy affects these aspects. Her interests include orofacial myology, autism spectrum disorder, sign language and fluency disorders. She is also an active member of the National Stuttering Association and serves as co-chair of her local chapter. This is her third year helping with the International Stuttering Awareness Day. I love the way you wrote it, gives me some inspiration! Thank you 🙂 I’m glad this had an impact. I know it did for me. Hi McKenzie! Beautiful poem. I am sure you are an inspiration to the young lives you serve. What are the biggest challenges stuttering has presented to you? Thank you! Honestly, it impacts my social life/skills more than anything. A part of that is maintaining healthy emotional status. Sometimes it is hard to understand the depth to which those negative experiences affect me and how they shape my behavior. That is part of why I wrote this poem. At times I feel I can’t trust my mind because I have a skewed perception of things sometimes due to past experiences and it can be troubling. Hello McKenzie. I loved reading your poem. I am a graduate student taking a fluency class at the moment. I understand that negative feelings come about in individuals who stutter. As a clinician, what are some of the ways you approach these negative feelings and thoughts about stuttering with a client and help them move towards openness and acceptance? A big thing is letting the monsters out of the closet. We all have negative experiences but we allow those things to control us when we ‘give them the power’ or don’t openly talk about them. As a clinician, it is vital to create a open space with trust with your client so that they feel comfortable sharing things with you. At times that means you yourself may have to share things that scare you or cause you anxiety to create that common ground. A good way to summarize is “normalize” stuttering meaning its not this scary thing we don’t talk about… It’s a part of who we(they) are and is something not to be afraid of. Hi McKenzie! Your poem really spoke to me. It’s really amazing how a few words can give a glimpse into a journey of feelings. You spoke a bit on this in a question above asking about what clinicians can do to help move clients towards openness and acceptance. I was just wondering was there a certain experience that helped you move toward the accepting and normalizing your stutter? Or was it a million leading things that led to that? It was a few things but the journey was started when I saw examples of people who stuttering living their life without limitation. And not meaning celebrities but every day people that I could relate too. Once I saw that example, that started the conversation of “well if they can do, why can’t I” which lead to me having those open conversations with my family and friends about stuttering. It is still difficult to open about that part of my self because it is not all flowers and roses… but through repeated examples, I am reminded that a open vulnerable life is better than a closed off one. Thank you for the poem, McKenzie. I appreciate the verse “Place of hands clinging to one rope.” It’an accurate visual. It reminds me of the ropes course at the NWCFD-IISC and holding on to dear life! So true of life in general yes? That line always reminds me that my losing my mental health is as simple as me letting go of the rope. To stay well I have to continually hold on and do those things that maintain my grasp. Thanks for reading! I really enjoyed reading your poem, it’s amazing how few words can capture so many feelings and emotions. I am a second year SLP graduate student at the University of Minnesota Duluth and am currently in an advanced fluency disorders course. It seems you would have a unique perspective as a PWS and a practicing SLP. What is the best advice you could give someone starting out in the field of speech language pathology in general and when working with PWS? I have heard from other PWS but am curious to hear about your perspective. Oh that’s my favorite question 🙂 Main thing is to be transparent with your experiences. Stuttering is a hard thing to live with (just as a stroke, dysarthria, etc.) and it can be difficult for a client to trust you. Being open about what you know or don’t know and expressing that you want to understand them as a person and understand their unique experiences not only opens them up to sharing those hard things with you but also helping them trust you. It creates a ‘team’ approach to therapy (i.e. we are both here in the hard things together) and helps the client feel involved in what’s going on and gives them a ‘voice’ in more than one way 🙂 Honestly, there are a lot of things I could tell you but bottom line, show them you care and that you want to help and support them in being their best self, fluent or not. Our goal is to help individuals speak their mind, at whatever level of fluency they desire. Your poem is beautifully written, McKenzie. Thank you for sharing! I am a speech-language pathology graduate student currently taking a course on fluency. As an SLP yourself who stutters, how has your history of stuttering shaped the way you provide therapy to individuals who stutter? Do you think your approach to therapy would be any different if you didn’t stutter and didn’t have the first-hand knowledge/experiences? I think for me, I understand how difficult practicing techniques (or trying to produce an r :]) can be so sharing my experiences with any client not only helps me gain rapport and trust but equalizes us. Yes I am the therapist, but they are the expert on their speech.. We can work together as a team to achieve what THEY want to achieve, not what I think they should. Granted, with education we can help them maximize what they feel they want once they know all the possibilities that they may not have considered depending on their diagnoses. For your second question, I would say yes, I would approach therapy differently. Now, I always strive to gain trust before I push harder concepts and I bring in a ‘counseling’ feel to all of my sessions, stuttering or not. I believe that each person with a communication disorder has some type of emotional impact and as the expert in communication, we need to address it. Hi McKenzie! Your poem is beautifully intriguing – it was overflowing with so many positive and negative raw emotions. I admire your work as a clinician because you are attempting to control the endless cycle of emotions, while teaching others to conquer their fears/negative emotions about stuttering and maintain a healthy mental status. As a clinician who is also a PWS, is there one specific idea that you try to engrave in your clients? And similarly, was there something that a clinician told you when you were in therapy for stuttering that has stuck with you until today? Thank you again for sharing your unique perspective with us! Hmm… If I had to put it into words, I would say I try to help them understand that we all have something to say but we each say it differently. And even though we say it differently, that doesn’t take away from the importance of our message. As far as my therapy, I don’t remember a specific thing (I had therapy when I was very young). Since then, I think in my experiences in counseling and being a therapist, I try to help my clients and people around me in general that how they are feeling is real even if it seems silly or a skewed perception of what is going on. Even if that is the case (skewed perception – that someone thinks me as a person who stutters is stupid when I stutter but thats not actually how they feel but I perceive it that way), how I feel about that is real. Something like this happened to me just last night. I had to introduce a program in front of 500 people and I froze when I had to say a name with a J. I used some filler words to get my point across and moved on but I felt so ashamed. Everyone there thought nothing of it… but I was deflated. Even though I thought everyone thought I was stupid, they didn’t actually think that but I felt that way. And when working with clients, we need to validate those feelings. McKenzie what a wonderful poem. It is interesting to see that such a few words have such an impact and lead to such a deeper understanding. thank you for sharing. Hi McKenzie, your poem was beautiful. I am currently a first-year graduate student at Illinois State University for speech-language pathology. What have the reactions been from parents of clients when they discover that you are a person who stutters, and treating their child? Are you transparent with the parents and let them know? I typically don’t bring this into the conversation unless it is needed. My stuttering is mild in the overt sense so typically I can carry on a conversation without an untrained listener detecting stuttered events. While stuttering is a part of who I am, I am a therapist as well so I try to focus on that. The experiences I have had as someone who stutters helps me be a better therapist and when those conversations come up, that is the approach I take. Thank you for your question! This has prompted me to think about how transparent I am at work and that I may need to revisit my acceptance in the workplace. Thanks!! I think it’s so empowering to put our thoughts down on paper and really let them be a vessel for self expression. And by doing so, we get them our thoughts out of our head where we can stay stuck if we allow that. Releasing our thoughts so others can relate helps lessen the power that negativie thoughts can have over us and turns our thoughts into powerful positive ones. This is very powerful and moving. I love the word choice you use and the moving end of the poem. What is some advice that you would give to someone who is a student studying to be an SLP when we have clients with a stutter? What is advice that you give to your clients who stutter? What is your favorite thing about being an SLP? Great questions! Overall, it is your job as a therapist to create a safe place for your client to talk about their communication skills and all that that entails (emotions, fears, etc.). When that happens, you help your client confront all the barriers to their communication and you can help them on that journey and direct to other services if needed. Advice for clients who stutter… It usually focuses on instilling the fact that we all have a message to share and each person’s message is important regardless of how it is expressed. This helps them come to their own self-acceptance which is a primary step in therapy.